This was a Plan B situation, I thought I had the ingredients for these biscuits but when I started making them, I realized my 7-up was a Sprite and the 1/2 cup sour cream was 1/8 cup…What to do, hmmm…..
Hungry Husband and the Nicest Guy were pretty excited about biscuits for dinner so DD [darling daughter] said, “Well, we have a Sprite, and how about Bleu Cheese Dressing for the sour cream? BRILLIANT! These are the softest little pillows of joy you can imagine. Please don’t eat the whole pan, you will want to! Do I have your attention? These are seriously EASY, I mean NO EFFORT, the only excuse not to make them is so not to eat them all up! *I always use unsalted butter. The level of salt in salted butter varies by brand so it is better to use unsalted and add your own, that way you have more control over the taste. 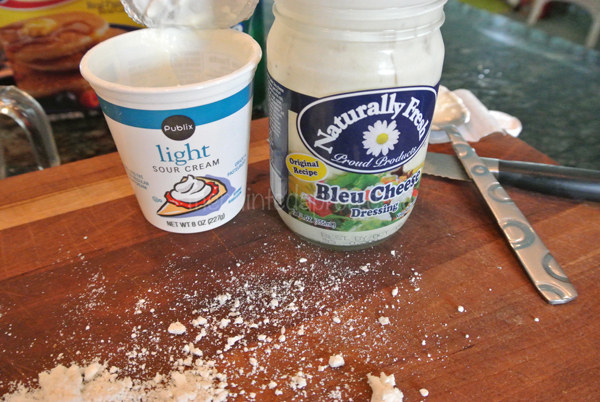 I only had 1/8 cup sour cream [the original recipe calls for 1/2 cup] so I added Bleu Cheese Dressing to make up the difference. I have made this using all Bleu Cheese dressing also, doesn’t matter. 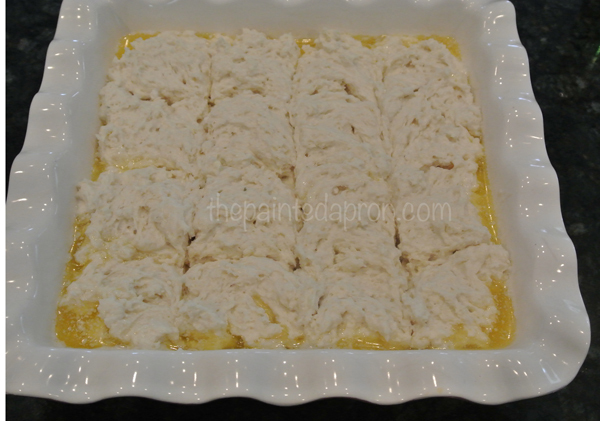 Melt the butter directly in your 8×8 baking dish. 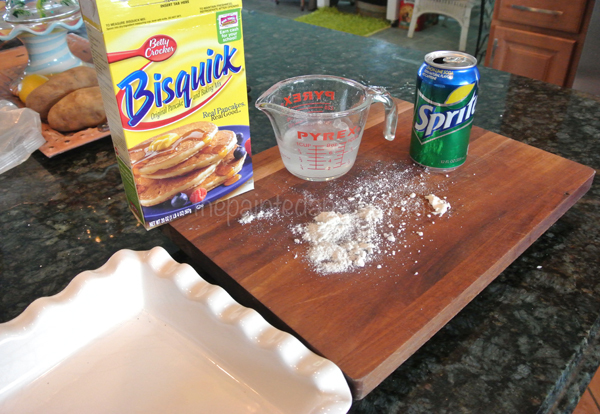 Combine the baking mix with the soda and sour cream/salad dressing. This will form a wet, sticky dough. 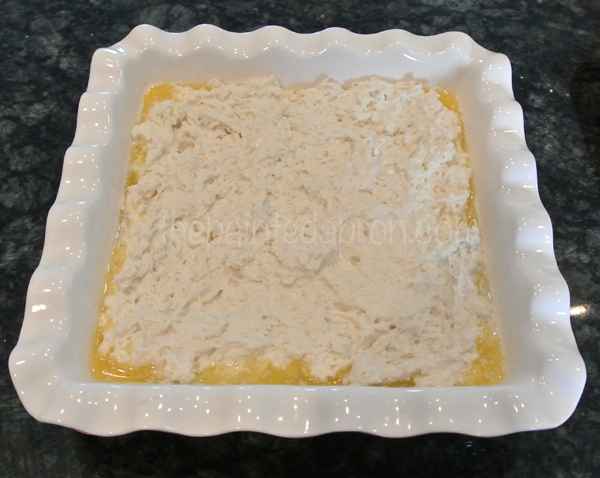 Just drop it by blobs into the melted butter and spread it around with your fingers until it is in an even layer in the dish. 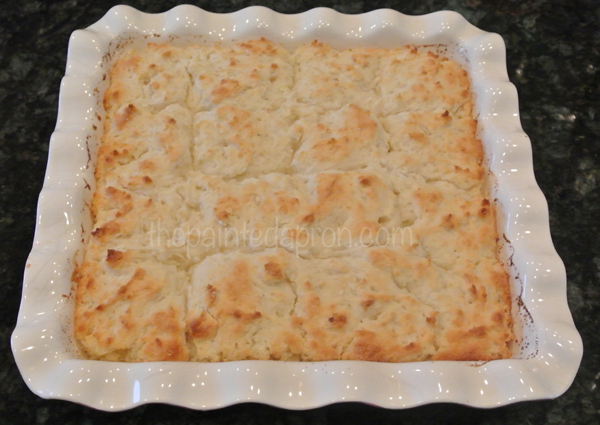 With a sharp knife, score the dough into 12-16 biscuits. Pop in the oven at 450, 12-15 minutes, until they look like this!